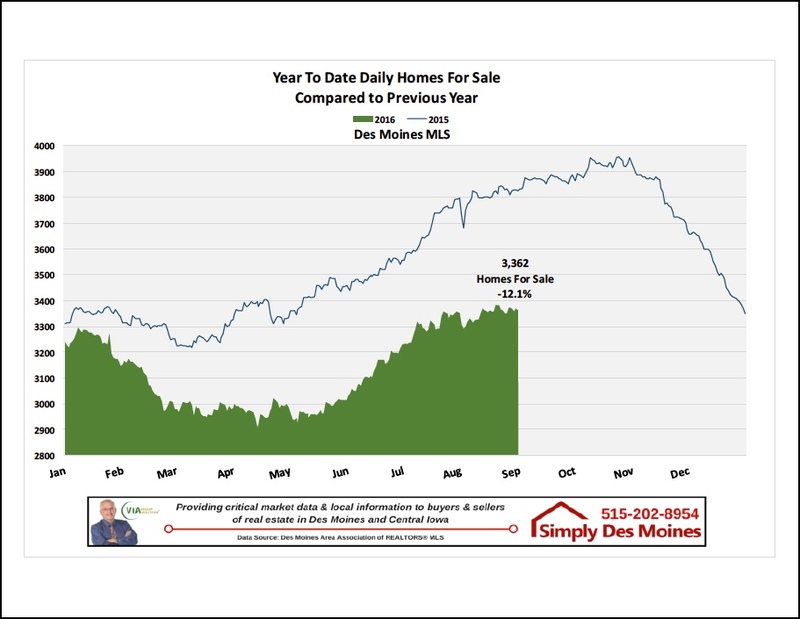 Some would call me a hoarder of real estate market data.. but just like those junk hunter shows on cable TV, I am occasionally asked a market question and I find that my collection of market statistics comes in very handy. For example, each month the media reports what they are told about the real estate market activity compared to either last month or the previous year. While this is good information to know, it doesn’t always necessarily give the full story of market trends. 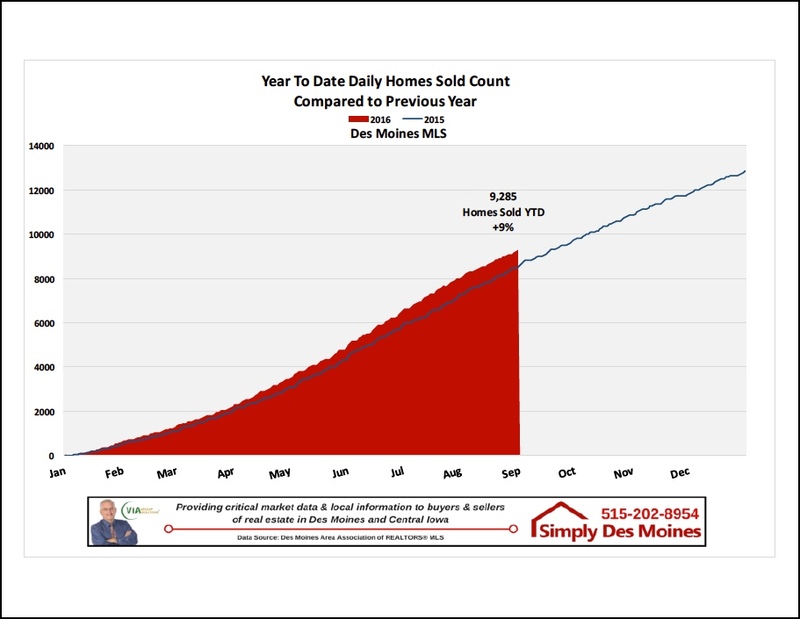 In the next couple of weeks, you will be reading the newspaper or listening to the news on the radio and there will be a report about Des Moines real estate sales and how they are down compared to last month. 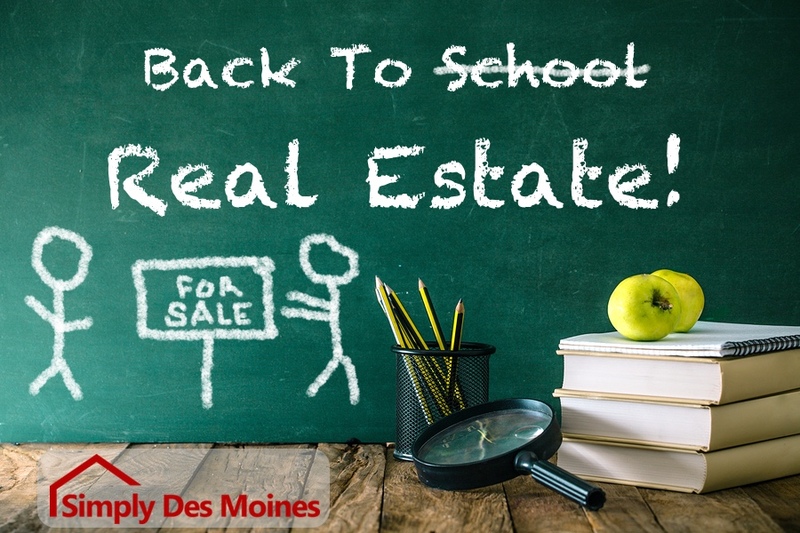 This may lead you to believe that real estate sales are slowing down in Central Iowa. The problem is that only looking at what happened since last month doesn’t give you the full picture. For example, in the graphic above, Pending Sales are not really slowing down but rather leveling off while in previous years Pendings were dropping off. 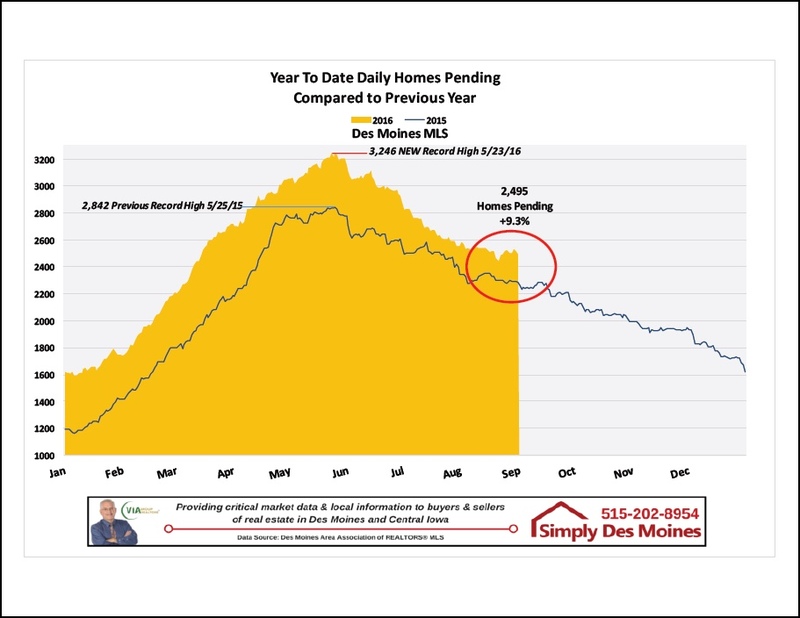 In fact, when you look at where Pending Sales were prior to 2015, we still have more sales in the pipeline waiting to close than we did at the height of the market in 2014 or 2013 and considerably more than in 2012 or 2011. 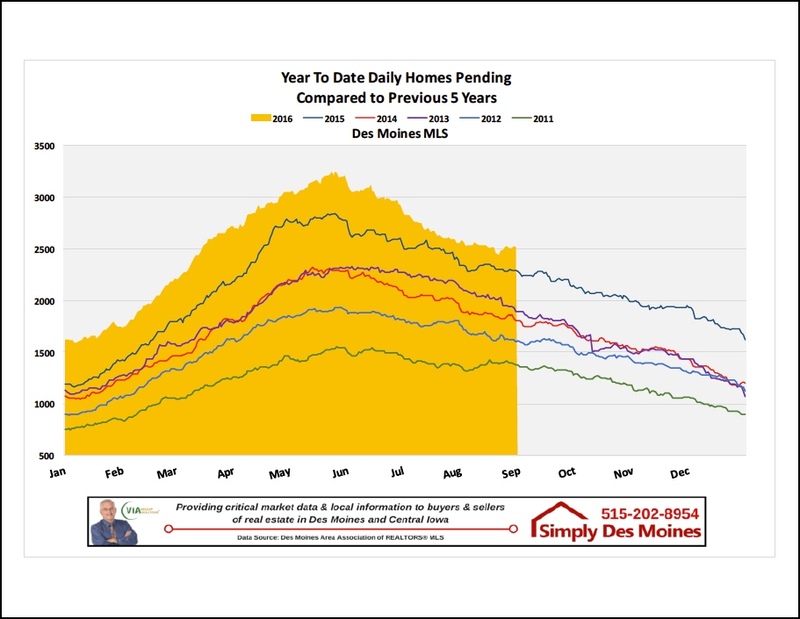 Pending Sales are actually up 9.3% over the same time last year, Up 38% over the same period in 2014 and …. hold on to your socks…. Up 81% over the same period in 2011!! 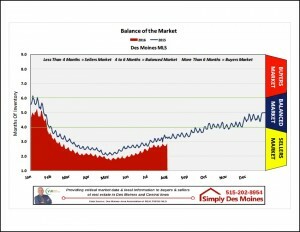 The media headline will most likely read, “Metro Home Sales Dip Compared To Last Month”, when it should say “Metro Home Sales Continue To Outpace The Same Period Over The Past 5 Years”. Great Website & I love the personal touch. We’re proud of all your hard work, integrity & dedication to the Real Estate Profession.